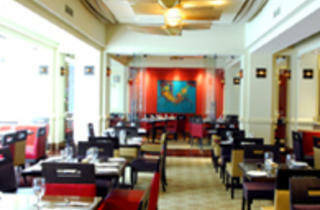 Amber India Restaurant embodies the spirit and essence of fine Indian cuisine. Located in the heart of downtown San Francisco, Amber India Restaurant takes Indian cuisine to a new culinary level, while still holding true to its traditional nuances. 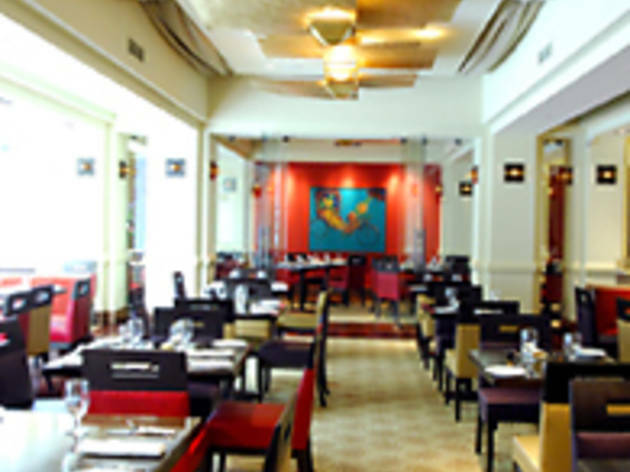 Much like the ambiance within the restaurant, Amber India’s cuisine is a mix of modern style with traditional roots. The delectable cuisine, the well paired wines, and the exotic cocktails are sure to indulge anyone’s senses. The split-level three-story restaurant can easily accommodate 140 people, with a private dining room in the back for up to 25 people. With its vaulted ceilings, stylish décor, and a constant LED light show behind the bar, Amber India Restaurant is truly a feast for both the mouth as well as the eyes.